The unique treatments and rituals that combine relaxation and whole body care are located in our SPA zone in Werona. At your disposal are jacuzzi and sauna complex, balneological baths, massages, wellness rituals specially designed for the youngest guests of our facility. Wellness & SPA Werona in Duszniki-Zdrój is one of the most popular wellness complexes in the Lower Silesian.There are some of the most famous mineral springs In Duszniki-Zdrój. Fryderyk Chopin himself used to visit the place. Balneotherapy and physical therapy are most often used by people suffering from cardiovascular and gastro-intestinal disorders. The needle bath relaxes muscles and calms, and mud bath helps to fight women’s ailments. In Duszniki-Zdrój there is a climate that stimulates the production of red blood cells. 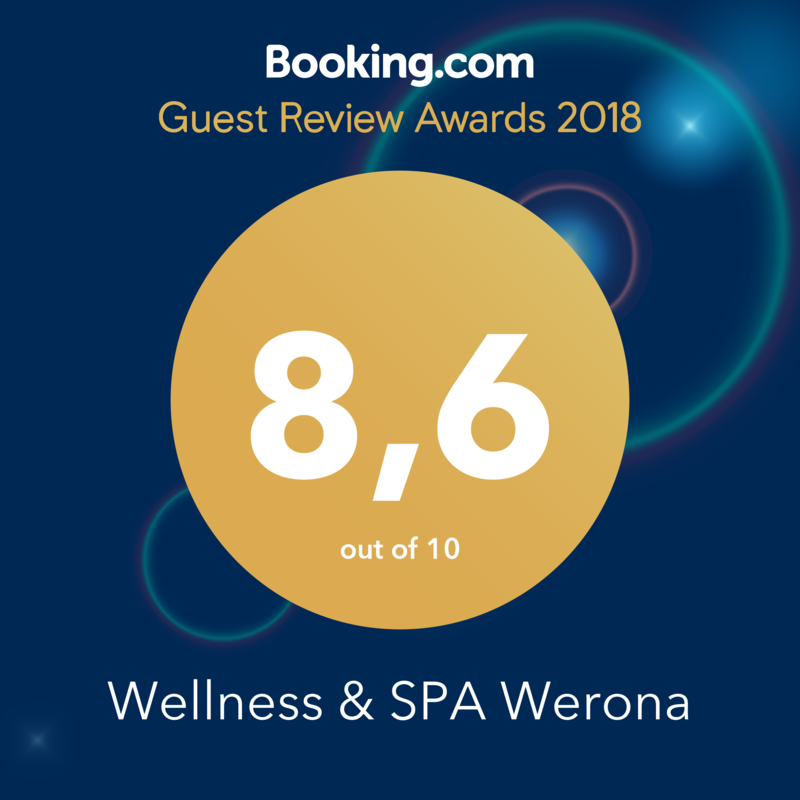 Wellness & SPA Werona equals relaxation and a way to improve your health. We strongly recommend to make a reservation.